The so-called Serapeion in Ephesos is one of the best conserved monuments in Ephesos. It dates back to the 2nd century and was built on the northern slope of the Bülbüldagh. Since the first excavation in 1911 underwent differnt interpretations, among others it was opined to be a Serapeion. Analysis of the marbles of the monumental, monolithic components was carried out to investigate whether this marble is of local origin. The monumental workpieces of the rising architecture in front of the Serapeion. The rising architecture was extensively sampled, and also the basis of the temple was investigated. In general, white medium-grained marble was used. The steps of the basis are evidently spolia with inscriptions on the hidden sides and are of fine-grained white marble. Graphic display of the multivariate analysis of the marbles used at the Serapeion. 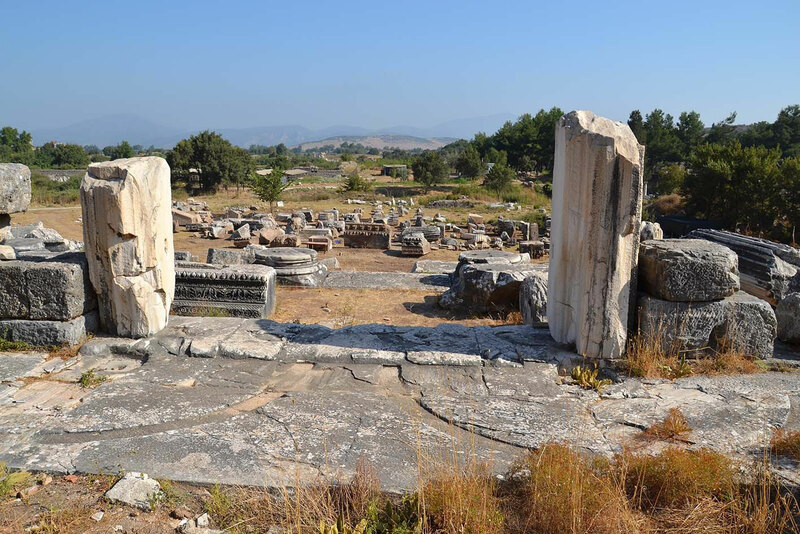 The monumental rising architecture is made of Prokonnesian marble. The outlier most probably is Prokonnesos II marble. The investigations are still in progress. 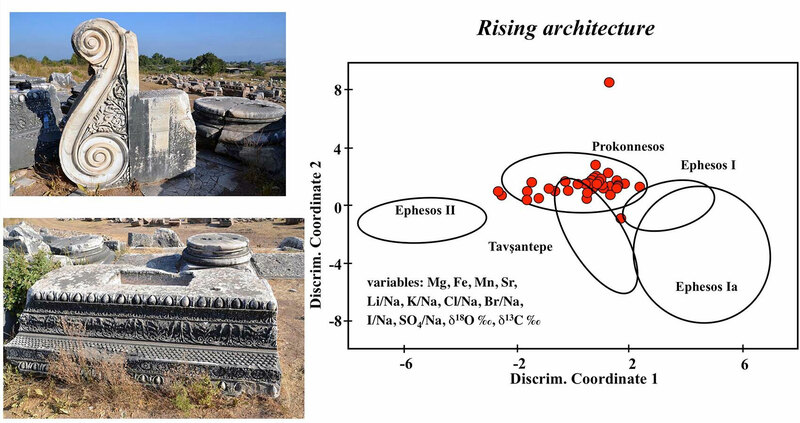 The preliminary results show that the rising architecture was made of Prokonnesian marble. The marbles of the steps and of the basis of the monument in general are from dfferent local/Ephesian marbles. The steps with the inscriptions most probably are marbles from the region of Altintas, however this has to be investigated in more detail. 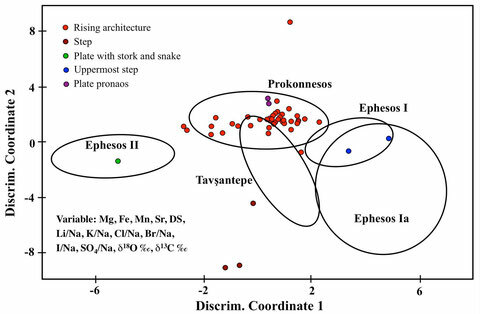 These results confirm the use of marbles from Prokonnesos in Ephesos not before the beginning of the 2nd century.